Game Drop Zone: Jeff Minter Describes Atari's Contact As "...being savaged by its undead corpse..."
TxK is a tube-shooter that released exclusively on the PlayStation Vita in February 2014. It is a beautiful mess of intense colour and sound, it is also a spiritual successor to Tempest 2000 (1994), a game that Jeff Minter worked on. Tempest 2000 was in fact a sequel to Tempest (1981), which was created by David Theurer. 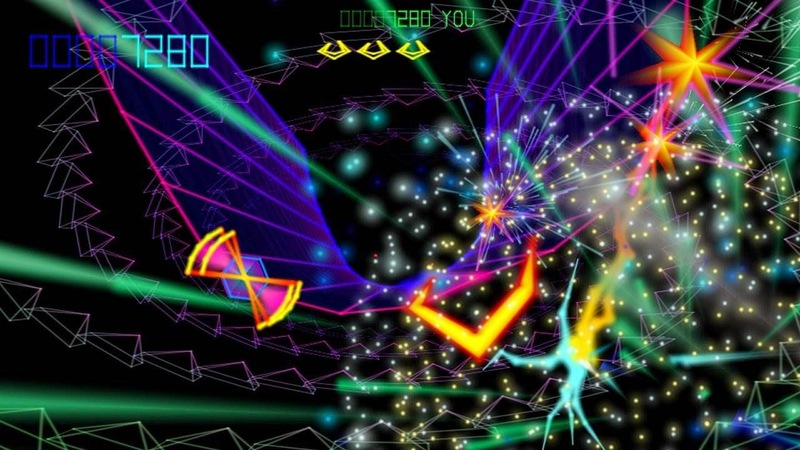 The Tempest franchise is owned by Atari, TxK is by no means the first Tempest 2000-inspired title developed by Llamasoft (Minter’s studio); Space Giraffe (2007) was visually similar, but distinctly different mechanically. The PC, PS4, Oculus, GearVR, and Android ports of TxK have been halted in their various states of readiness, because of pressure from Atari. According to Minter, Atari’s "bullying" has been going on for a year. Minter posted a PDF copy of a document on the Llamasoft website. This document, sent by a law firm representing Atari, dated 9 June 2014, states the many ways in which, “…there is nothing remotely “original” in TxK…”. ""there is nothing remotely original in TxK and in no way can it be described as <my> original creation", apparently." (Original Tweet). "Tempest 2000 was "merely an update to Tempest to which I made no contribution" apparently." (Original Tweet). "I subconsciously accessed confidential information (in my bit-part as a member of the team that developed Tempest 2000). Apparently." (Original Tweet). "I'm supposed to give "Atari" all my source code too, according to their charlatan lawyers." (Original Tweet). According to Minter's blog post, Atari is “still trying to insist that I remove from sale Vita TxK (even though it's plainly at the end of its run now and only brings in a trickle these days) and sign papers basically saying I can never make a Tempest style game ever again. So no chance of releasing the ports.”. Minter’s full blog post goes on to discuss changes to later ports of Tempest 2000 that were allegedly made to reduce the royalties owed. Since Minter’s original post is unavailable due to heavy traffic, the post has been copied to pastebin.com. Atari has put out its own statement. In which it cites multiple media outlets, including IGN and GameSpot, that have called out the similarities between TxK and the Tempest series. Additionally, Atari states, “There is no lawsuit. Atari has been in continuous contact with the developer since the game launched in hopes that the matter would be resolved.". (Via Kotaku). Minter has since gone on to make his feelings on Atari’s, “continuous contact”, quite clear. But I could never have imagined one day being savaged by its undead corpse, my own seminal work turned against me. I am beyond disgusted.